Please click here to find important Year 11 dates and events for the rest of the year and beyond. To view the presentation shown at the Year 6 Information Evening please click here. put themselves at a strong advantage, giving themselves the best possible chance of success. A and P to Improve Me is a reminder of that. To find out more, please visit our Attendance and Punctuality page. bypass towards Davenham on the way home from school. times. Please ensure that this is reinforced at home. 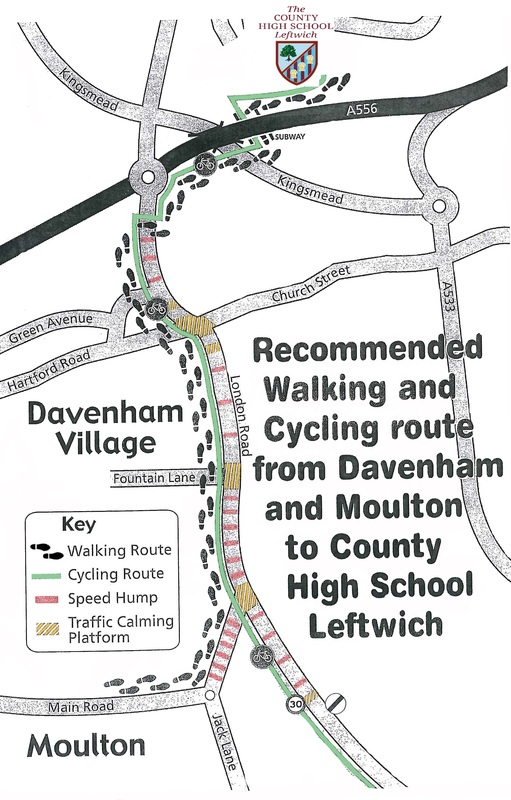 Davenham and Moulton to the County High School Leftwich'. to show consideration to the occupants of the houses near school. learn how to stay safe in the digital world. Please click here for more information and advice. wearing the correct uniform. Thank you. We would like to remind parents and carers who park near the school collecting students to show consideration to the occupants of the houses near school. Please avoid blocking driveways, parking on yellow-lined areas or parking on grass verges and pavements. We ask parents/carers to work with us to apply the school rules with regard to uniform as described on the school website. Welcome to The County High School, Leftwich, a school with an established reputation for enabling our students to maximise their potential academically and socially. We strive to nurture an appropriately challenging, but caring and supportive atmosphere in which each student is encouraged to make the right choice, to develop self-discipline, self-confidence and self-reliance, essential attributes of a personalised approach to learning and crucial qualities in preparation for independent, adult life beyond the safe environment we provide. We are committed to the continuous development of a learning community which encourages each individual to recognise his/her talents and to learn how to learn in order to secure purposeful and satisfying future employment in a rapidly changing, global marketplace. Thus, we encourage our students to participate in the many exciting and varied activities that flourish beyond as well as in the classroom. The School enjoys an enviable reputation for Art, Photography, Music, Dance and Sport. Expertise is also offered in a range of other areas, including visits at home and abroad. We believe "Every Child Matters", that education is about enjoyment and achievement which, together, can bring your child the success s/he craves and you desire. "The school is a harmonious place to learn." 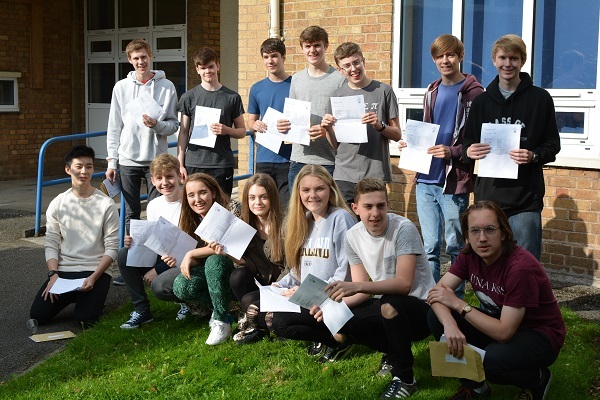 "Pupils' progress and attainment are outstanding. They thrive and flourish in the school and make excellent progress across a wide range of subjects, whatever their circumstances."